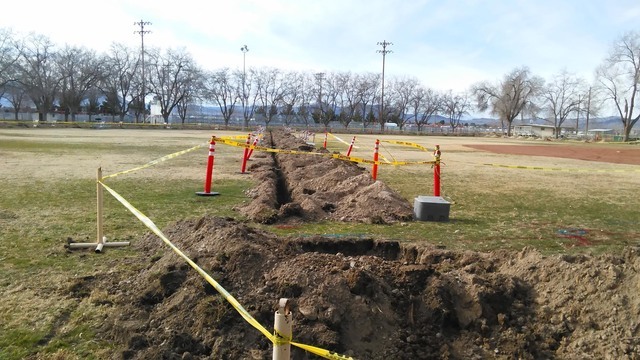 Anyone who has driven by Petrack Park is sure to have noticed mass trenches throughout the site, as a project to upgrade the park’s lighting is underway. 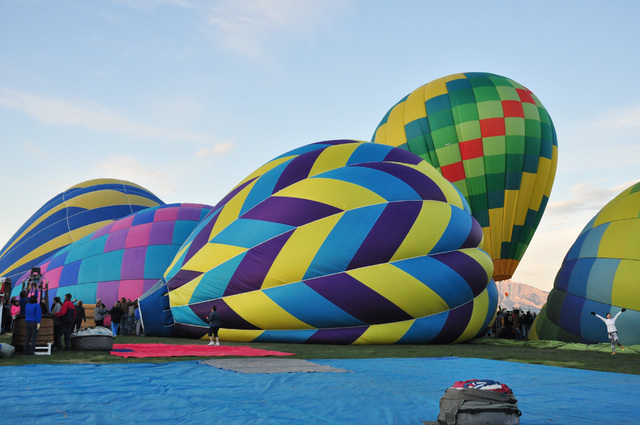 Less than a month from today, the 2017 Pahrump Balloon Festival will take flight at Petrack Park for the fourth consecutive year. The three-day annual event, from Friday, Feb. 24 through Sunday, Feb. 26, will feature more than 30 hot air balloons at the venue along with food, arts and crafts vendors and the popular carnival, courtesy of Pahrump’s Davis Amusements. 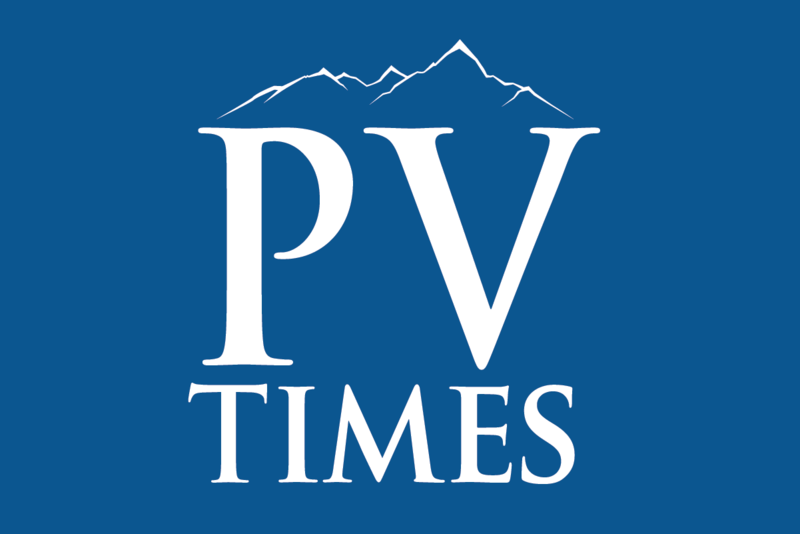 Vicky Hilling, events coordinator for the Pahrump Valley Chamber of Commerce, said she was assured the balloon festival will not be affected by the ongoing work. “I am told the work should be completed before our Feb. 24 kickoff,” she said. 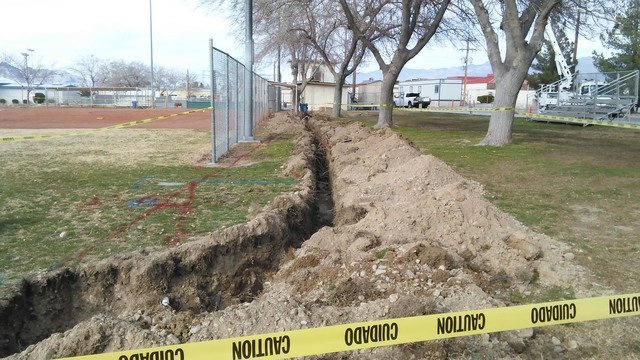 Matt Luis, Pahrump Buildings and Grounds supervisor, said the park will be ready in time for the balloon festival. Luis did lament however that recent rains in the valley have created little setbacks. The event opens at 6 a.m., followed by the national anthem and a fixed-wing flyover. The actual balloon liftoff is scheduled for 7 a.m., weather permitting. Hilling said everything appears to be moving along quite well, as there’s still space for more vendors to sign on. Additionally, Hilling said the size of the carnival portion this year has broadened. At present, 34 balloon pilots from California, Utah and Nevada have signed on to participate this year. As with all hot air balloon flights, wind and temperatures are determining factors prior to takeoff, Hilling stressed. As far as taking a balloon flight, Hilling said VIP sponsorships are available to those who wish to go up. The 2017 Pahrump Balloon Festival is open to the public with free entry to the park. Advance carnival tickets are $20 at the Chamber of Commerce or $25 at the event. Tethered balloon rides are $10 each. Attendees can also purchase a $25 VIP field pass during the glow shows on Friday and Saturday to get a close-up view of the illuminated balloons.